Dedicate the 20th (Thu) to wine at some of the top wineries in the area. And it doesn't end there: take in nature's colorful creations at Royal Botanic Gardens, enjoy breathtaking views from Eureka Skydeck 88, contemplate the long history of Old Melbourne Gaol, and stroll through Melbourne Zoo. Berlin, Germany to Melbourne is an approximately 27-hour flight. You can also do a combination of train and flight. Traveling from Berlin to Melbourne, you'll lose 9 hours due to the time zone difference. February in Melbourne sees daily highs of 32°C and lows of 16°C at night. Finish your sightseeing early on the 21st (Fri) so you can travel to Sydney. Spend the 27th (Thu) exploring nature at Sydney Harbour National Park. 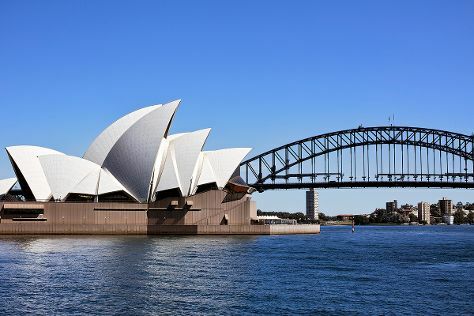 Next up on the itinerary: catch a live performance at Sydney Opera House, get to know the fascinating history of The Rocks, meet the residents at Sea Life Sydney Aquarium, and enjoy the sand and surf at Manly Beach. For more things to do, other places to visit, reviews, and tourist information, you can read our Sydney trip itinerary planning app . Getting from Melbourne to Sydney by flight takes about 3.5 hours. Other options: do a combination of shuttle and flight; or drive. Plan for a bit warmer nights when traveling from Melbourne in February since evenings lows in Sydney dip to 23°C. 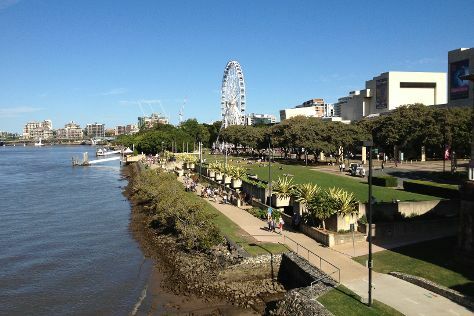 Finish your sightseeing early on the 28th (Fri) to allow enough time to travel to Brisbane. When in Brisbane, make a side trip to see Sea World Theme Park in Main Beach, approximately 1h 30 min away. Next up on the itinerary: walk around South Bank Parklands, explore the world behind art at Queensland Art Gallery, enjoy the sand and surf at Dicky Beach, and stroll through Moffat Beach. To find more things to do, photos, traveler tips, and tourist information, read our Brisbane journey planner. You can fly from Sydney to Brisbane in 4 hours. Alternatively, you can do a combination of flight and bus; or drive. Expect a daytime high around 33°C in February, and nighttime lows around 24°C. Finish your sightseeing early on the 4th (Wed) to allow enough time to travel to Cairns. You'll find plenty of places to visit near Cairns: Palm Cove (Hartley's Crocodile Adventures, Palm Cove Beach, & more), Port Douglas (Safaris, Wildlife Habitat Port Douglas, & more) and Alexandra Bay Waterfall (in Diwan). Spend the 5th (Thu) among aquatic life with a scuba or snorkeling tour. Next up on the itinerary: trek along Esplanade Boardwalk, make a trip to Green Island, stroll through Thornton Beach, and relax and float downstream with a rafting and tubing tour. To see where to stay, other places to visit, reviews, and tourist information, you can read our Cairns trip itinerary maker . Getting from Brisbane to Cairns by flight takes about 5.5 hours. Other options: do a combination of bus and flight; or drive. Traveling from Brisbane in March, you can expect nighttime temperatures to be a bit warmer in Cairns, with lows of 27°C. Wrap up your sightseeing on the 13th (Fri) to allow time to travel back home.